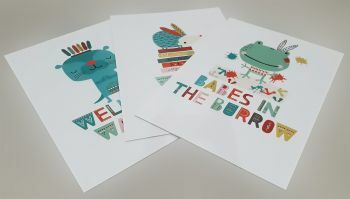 We've just finished printing beautiful colourful signage for Wild Child Festival. Quick, lightweight signs will advertise this new fantastic family event set in the leafy green area of Dulwich, South London, celebrating the very best in child-focused workshops and entertainment. Designed by mums and dads and arts educators the emphasis is on the arts, creative play, STEAM & wellbeing for 0-11-year-olds and their grown-ups. If you are planning to organise a similar festival or any event and need affordable high quality signs printed quickly just give us a call or email us! 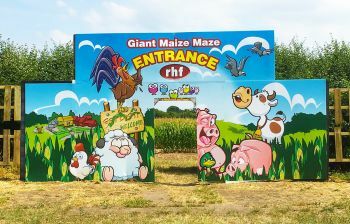 We were pleased to once again be involved with Red House Farm Maze, printing full colour custom cut 4mm correx boards to help them create the entrance to their fantastic Maize Maze. The Red House Farm Maize has been created from over 500,000 maize plants and offers fun and entertainment for all the family with the maze and various other attractions to enjoy.